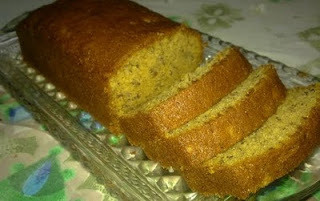 I've been most of my time at home baking banana cakes the past days. So if you visit you will see bananas all over the kitchen! It is believed by many experts that bananas were the first fruit cultivated by humans. The banana "tree" is not really a tree, but a giant herb. The banana is the fruit of this herb. The strings that go up and down the length of bananas are called Phloem Bundles. They help distribute nutrients to every part of the growing bananas. The cluster of bananas sold in supermarkets is a "hand" of bananas, while the individual bananas on the hand are called fingers. Plantains are a type of banana that are not as sweet and are usually cooked. While not as commonly eaten in North America, plantains are a dietary staple in many tropical regions like here in the Philippines! 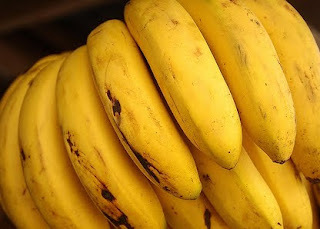 Worldwide, bananas are the fourth largest fruit crop. The banana split was invented in 1904 by 23-year-old David Evans Strickler, an employee at the Tassel Pharmacy soda fountain in Latrobe, Pennsylvania. In 2001, Britain recorded 300 incidents of injuries related to bananas. The majority of these involved people slipping on banana peels. Please be careful of those peels! Alexander the Great first came across bananas in India in 327 B.C. The pejorative term "banana republic" was coined by American writer O. Henry. He used it in reference to Honduras, but the term became widely used in reference to any Latin American, Caribbean, or African country that was politically unstable, relied heavily on basic agriculture, and was not technologically advanced. So there you go...happy Thursday to all! I didn't know that about the 'herb'....but it makes a whole lotta sense!! I like my bananas without BROWN....they hafta be just right...with most yellow, yet, just a tinge of green on the peel. Yum. Now I'm craving a banana. Yes if the truth be known, in some moments I can bruit about that I agree with you, but you may be in the light of other options. to the article there is even now a suspect as you did in the go over like a lead balloon a fall in love with delivery of this solicitation www.google.com/ie?as_q=cute ftp professional 8.0.7 build 31.5.2007 inc ? Interesting facts about the banana tree... I mean herb! I have recently cooked a bit with plantains and in certain dishes they are wonderful.